Our 90s heartthrobs are back to woo us with a brand new tour entitled In A World Like This , live in Malaysia! Tickets to the show sold out within 5 days of launch, but fear not – organisers of the tour, Livescape Asia, are here to answer your prayers by adding 600 EXTRA TICKETS! Prices exclude RM3 ticketing fee. 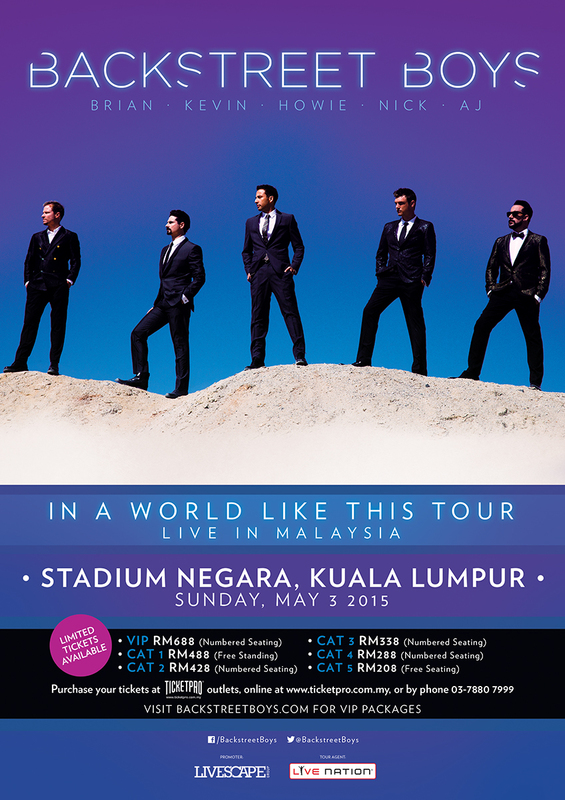 Tags: Backstreet Boys, In A World Like This Tour, In A World Like This Tour LIVE in Malaysia, Livescape Asia. Bookmark the permalink.